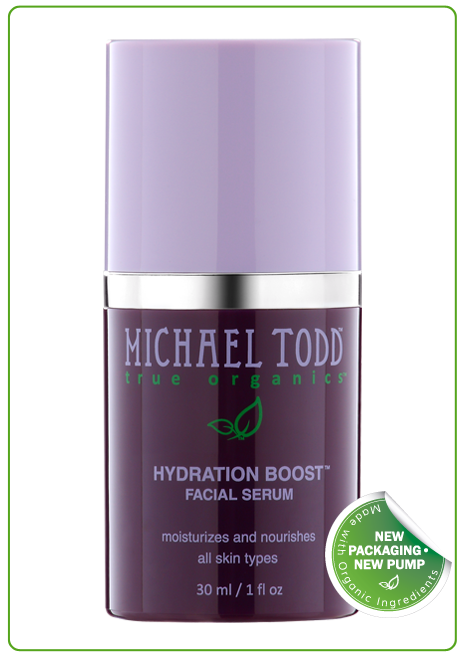 Today I have a review on a few Michael Todd True Organics products - The Hydration Boost Facial Serum and the Intensive Organic Cream Eye Treatment. I have been trying them out for over two weeks and I cannot explain how happy I am with these products! My face is SUPER dry, especially in these cold winter months but ever since I started using these products, my skin feels so much better! My skin doesn't feel as tight and my under eyes are staying moisturized and less tired looking. Their website is pretty straight forward so I'm going to insert some information from there down below to look at! Concentrated hydrating serum infused with Neem and other essential oils to restore the skin’s optimal moisture balance. 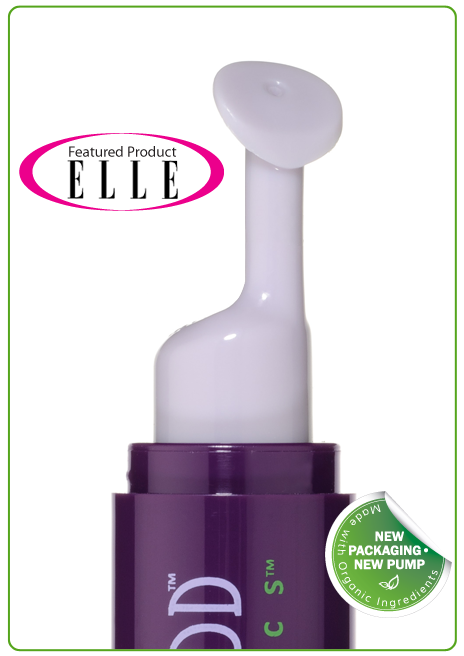 Penetrates quickly to soothe and add moisture back to dry, dehydrated and irritated skin. Hyaluronic Acid helps strengthen skin’s moisture barrier and lock in moisture for healthy, supple skin. Skin is left feeling moist, smooth and younger looking all day. Ingredients: Aloe Barbadensis (Organic Aloe Vera) Leaf Juice, Kosher Vegetable Glycerin, DMAE (Dimethylaminoethanol), Limnanthes Alba (Meadowfoam) Seed Oil, Emulsifying Wax Nf, Theobroma Grandiflorum (Cupuaçu) Butter, MSM (Methylsulfonylmethane), Spirulina Maxima (Blue Green Algae) Extract, Sodium Hyaluronate (Hyaluronic Acid), Euterpe Oleracea (Acai Fruit) Pulp Powder, Tocopherol (Vitamin E), Phenoxyethanol, Salix Nigra (Black Willowbark) Extract, Rosmarinus Officinalis (Rosemary) Oleoresin, Azadirachta Indica (Neem) Oil, Essential Oils, Xanthan Gum (Polysaccharide Gum), Sodium Benzoate, Glucolactone, Citric Acid. How I Use This: After I wash my face and use a toner, I rub this all over my face and let it really absorb into my skin. Once I feel that it is absorbed, I start applying my makeup. I will say that if you are looking for a thick cream-like consistency, I wouldn't go with this just because it is more of a gel consistency. I love the way it glides on my face and how it absorbs so well! I use this during the day. I use a thick cream moisturizer at bed time to really penetrate deep into my skin and rejuvenate it. 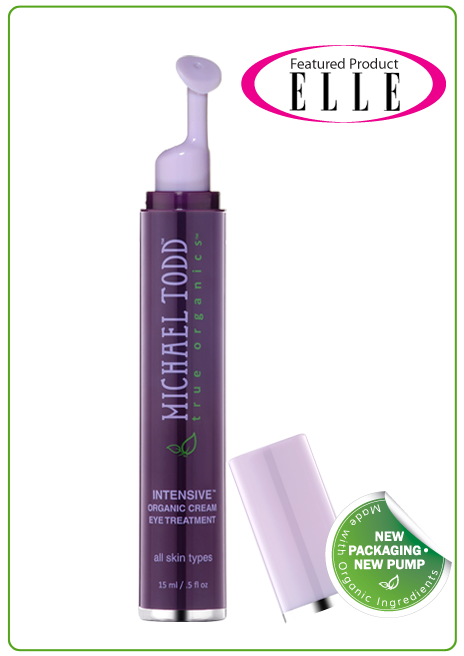 INTENSIVE Organic Cream Eye Treatment with Haloxyl® and Eyeliss® is a cutting edge advanced treatment for the care of the delicate skin of the eye lids and under eye areas. Fine Lines and Wrinkles. INTENSIVE treats fine lines and wrinkles around the eyes with Copper Peptide and antioxidants Roobois Tea, Acai and Vitamin E to repair sun damage and provide the skin with important anti-oxidant stress and immune support. Encourages elastin and collagen production and strengthens the skin in the eye area enabling it to “bounce back” instead of sagging and wrinkling. Michael Todd has also added Rhodiola Rosea, an herb fairly new to the West, with properties that further work to combat wrinkles and other signs of aging. This yellow flowering plant grows in the northern regions of China, Tibet and Siberia in the mountains and high plains. Scientific studies have shown a variety of health benefits attributed to Rhodiola Rosea, including protection and enhancement of the skin. INTENSIVE fights wrinkles without Retinol which can be harsh and irritating to delicate eye skin. Dark Circles. INTENSIVE uses Haloxyl® the premier ingredient today to combat the skin coloration around the eye that causes dark circles. Haloxyl absorbs and eliminates colored blood pigments in the skin that are responsible for dark circles under the eyes. It also has an anti-inflammatory effect and reinforces firmness and tone of the eye area. Clinical studies have been published that outline the effectiveness and safety of Haloxyl. Puffiness and Bags. INTENSIVE treats puffy bags under the eyes with Eyeliss® a patented combination of three protein peptides that increase lymphatic drainage, reduce inflammation and help decongest and reduce swelling in the under eye area. 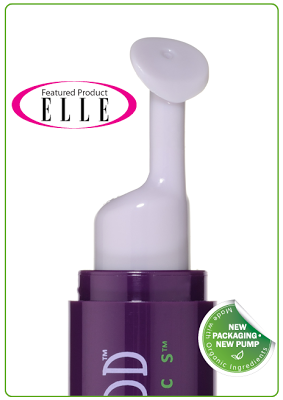 When applied with our new soothing massage tip applicator, INTENSIVE gently and quickly breaks up “puffy” eyes. Hydration. INTENSIVE uses Organic Olive and Jojoba Oils in a base of Aloe Vera Juice for "intense" soothing and hydrating of dry and sensitive skin around the eyes. Directions: After cleansing, pump the dispenser to bring cream onto applicator. Gently spread over the eye area, including eyelids, and work in with gentle upward strokes avoiding pulling the skin around the eyes. Allow to penetrate skin completely before applying makeup. Use day and night and as needed. In the event cream gets into eyes, flush with water. Ingredients: Aloe Barbadensis (Organic Aloe) Juice, Olea Europaea (Organic Olive) Oil, Simmondsia Chinensis (Organic Jojoba) Oil, Lavendula Angustifolia (Organic Lavender) Distillate, Emulsifying Wax, Palm Stearic Acid, Lavandula X Intermida ‘Super’ Extract, , Aspalathus Lineans (Organic Rooibos Tea) Tincture, , Oenotheris Biennis (Evening Primrose) Oil, Tocopherol (Vitamin E), Punica Granatum (Organic Pomegranate) Tincture, Euterpe Oleracea (Acai Fruit) Pulp Powder, Hyaluronic Acid, Eyeliss® (3%), Haloxyl® (3%), Copper peptide GHK-Cu (Copper tripeptide-1), Rhodiola Rosea Root Extract, Calendula Officinalis (Organic Calendula) Extract, Aphanizomenon Flos-Aqua (Blue Green Algae) Tincture, Xanthan Gum (Polysaccharide Gum), Citric Acid. How I Use This: I know it says it can be used day and night but I tend to just use this at night. I feel that that is all I need at this time. I will pump a small amount of cream out of the dispenser onto the applicator and gently rub it under my eyes. I will then pat it in my skin with my ring finger to make sure it is really absorbing. It has definitely helped with the appearance of my eye circles and bags I get when I don't get enough sleep! If you would like to try these products out, check out their website here. They have a wide variety of skincare products specifically for different skin types- sensitive skin, dry skin, acne/oily/blemished skin, normal/combination skin, and anti-aging/sun damaged skin. I highly recommend trying out this brand! If you are looking for all natural ways to clear up your skin or make it look younger and more radiant, check them out!